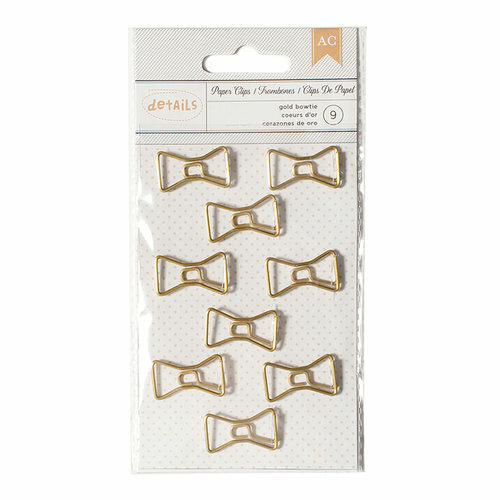 Add a fun and trendy enhancement to your next project with the Gold Bowties Paper Clips by American Crafts. Included in the package are nine gold bowtie-shaped paper clips. The paper clips measure approximately .9" x .6" each.